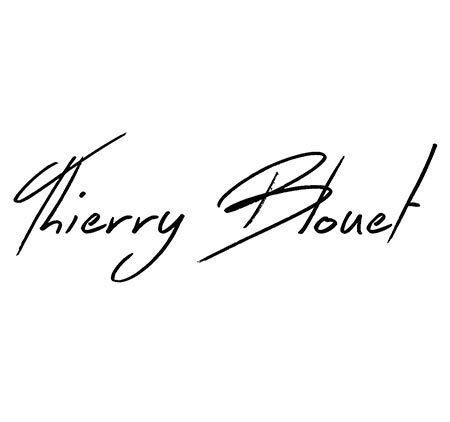 Chef Thierry Blouet was born in Puerto Rico, in 1964, and his French parents educated him in France and Mexico where haute cuisine is an integral ingredient of the good life. His paternal grandfather, Max Blouet, spent 30 years as General Manager of the ultra-elegant George V in Paris. An extremely visual chef, his dishes are sensual compositions. In addition to colors that enliven the visual, there’s a harmony of aromas that tempt the nostrils, subtle textures that excite the feeling in your mouth and concentrated flavors that enhance the taste. This 21st century Ambassador of French gastronomy (Regional Balli of Chaine des Rotisseurs in Puerto Vallarta since January 2010), He began his career in1983. In addition to his own business, Blouet, who is also a member of the Académie Culinaire de France, brings together chefs from France, Mexico, Canada and the United States to share and enrich their cooking techniques while maintaining traditionally high standards. He also devotes himself to promoting important cultural and “foodie” festivals in Mexico.